Many popcorn companies will blend poorer hybrids to try and come up with an acceptable product. They rely on advertising and gimmicks to sell their corn. 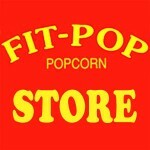 At FITKIN Popcorn we start with only the best popcorn, with the hope you will return as a satisfied customer. As with our other crops FIT-POP is grown using sustainable farming practices, using a minimum of pesticides. When raising crops, our goal is to leave the soil and environment in as good or better shape than before. Thus sustaining productive soil for generations to come.